The SMG to manual conversion process. The E46 M3 had a couple major issues, one of the lesser ones is the SMG gearbox. 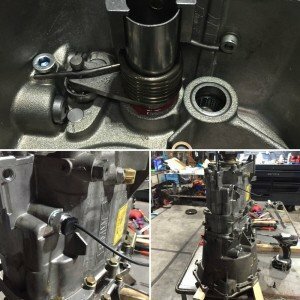 The hydraulic pump often fails resulting in a costly repair. If this happens to a car you own it often make sense to convert the car to a manual rather than fix the SMG unit. Manual E46 M3’s tend to be more desirable and cost quite a bit more than manual M3’s so often times owners can buy an E46 M3 SMG and have it converted to manual for about the same price as buying a true manual. 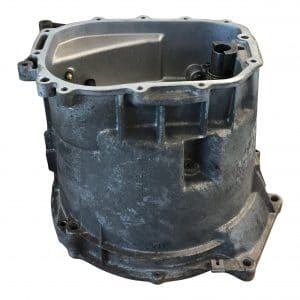 Since the SMG transmission and the 6 speed transmission are internally identical all that is required to physically do this swap is to modify the bellhousing on the SMG transmission. This modification adds in the shift detents so the driver can feel where the gears are. Since the SMG is shifted by the computer these detents were not necessary in the manual gearbox. Machining the bell housing accurately is critical so that the driver can easily find the gears. If the machine work is not precise then the driver can have trouble finding gears as the gates will not be in the correct location. We’ve seen this problem on some swapped cars that have ended up at our shop for troubleshooting. The hydraulic pump often fails resulting in a costly repair. If this happens to a car you own it often make sense to convert the car to a manual rather than fix the SMG unit. For race cars it is also possible to swap the 6 speed transmission to a less expensive and rebuildable 5 speed transmission. Coupled with a 3.91 or 4.10 final drive this is often a good race/track setup, but it does require modifying the driveshaft and shift linkage. Overall the cost tends to be about the same as the 6 speed conversion but the 5 speed also has a considerable weight advantage compared to the 6 speed. This swap also requires the installation of a clutch pedal, master cylinder, and slave cylinder into the car. In addition, the transmission tunnel must be opened up to allow the shifter to be installed. A shifter bushing carrier also has to be installed into the car if a factory style shifter is to be used. Since the transmission will be removed this is also the perfect time to change out that worn out clutch and flywheel. In order for cruise control, PDC, and the reverse light to function the car must be wired and re-coded as a manual car. The SMG computer is removed and all SMG components are unplugged. The clutch switch and brake switch must be installed and wired appropriately to retain the function of a true manual transmission E46 M3. We also have a special tune for the SMG to Manual conversion, developed by Frank Smith, that adjusts the idle to the correct level and can be coupled with a performance tune upon request. If you’re considering an SMG to Manual conversion and are near the Orange County, CA area we encourage you to contact us for a quote. You asked, we delivered! We practically get daily calls from BMW enthusiasts and BMW shops around the country doing their own SMG to manual conversion. While we love tackling this project for our clients, we know that is not always an option because of time and distance. We’re now happy to offer an E46 Bellhousing Machine and Prep Service for SMG to Manual Conversions! Just send us your complete bellhousing, and we’ll send it back ready to install into your conversion. Please feel free to reach out if you have any questions – otherwise, check it out on our store page. I have an SMG transmission in a 330CI 2004, will this fit in my 323CI for a manual shift conversion? No, we don’t believe it will. Beside modifying the bell housing, I understand that I’d need to modify the gear box for the Gear Identification Switch. What parts will go into the new tapped hole? if you could, please provide the list of parts that I need, part numbers and price. Andrew – thank you for reaching out. While the information is out there if you do some searching, we don’t provide parts lists/parts kits for the conversion. The only service we offer outside the shop for the conversion is a bellhousing prep service. Anything else (the conversion, programming etc) we only do in house. Hi there I have a bmw z4 with the ssg is the conversion the same process as the e46? No, we don’t know anything about whether this is possible, it’s a different platform and we have not looked into converting it as of now. When sending back bell housing. What’s the wait time and shipping method. Do I ship it out of pocket? Or when I purchase this does it send me a rma? Hey Spencer, thank you for asking and I’d like to clarify how to get your bellhousing to us and back. – First you’ll want to order the service here – this will calculate and charge you for the service and return shipping only. – Then you’ll need to prep and pack your bellhousing. It is a good idea to print a copy of your order confirmation and throw it in the box if possible. – You will need to arrange and pay for shipping the bellhousing to us. – Once received, depending on the queue, it takes about 3 days to complete. – Return shipping speed will be based on the options you select at checkout. Can I use a manual bellhousing on smg body and is it required any modification in that case? Why are the 6 speeds not rebuildable? Paul – the simple answer is that BMW doesn’t sell the parts required for that job. I have a spare SMG bellhousing, is it possible for you guys to machine it to spec. 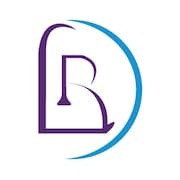 We have started prepping bellhousings for people, I would need some more detail – Jonathan will email you to get some info and we’ll go from there. Thank You. Would you be able to remotely code out the SMG out of an m3? Unfortunately this is a service we only provide in house.